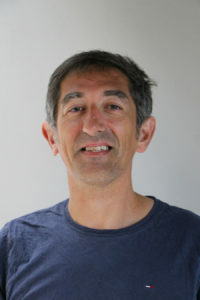 Franck MOREL is Full Professor of mechanics and mechanical Engineering at Arts et Métiers ParisTech, Angers campus, since 2009 and Director of the Angers Laboratory of Mechanics, Process and Innovation (LAMPA), Angers (France) since March 2011. He is co-chairman of the Fatigue working group of the French Society for Materials and Metallurgy (SFM) since September 2014. His research fields are: (i) Fatigue damage modelling of metallic materials and structures; (ii) fatigue under multiaxial and variable amplitude loading conditions; (iii) Effect of microstructure on the fatigue strength; (ii) fatigue gradient and size effect; (iii) Effect of the manufacturing process on the fatigue strength. The related researches are mainly developed in the High Cycle Fatigue regime on different types of metallic alloys. The investigations carried out are both experimental (from the specimen to the structure) and numerical with a specific focus on the effect of defects and the construction of modelling accounting for the crystallographic nature of the fatigue damage. He has been supervisor or co-supervised 16 PhD students and he is the author or coauthor of 50 international papers, 2 patents, Co-Guest Editor of 3 Special Issues of International Journals,, more than 80 lectures in international conferences, Co-Chairman of 7 National and International Conferences, Co-Chairman of several Research Projects.